The book seemed out of place in the "New Fiction" section at the library. 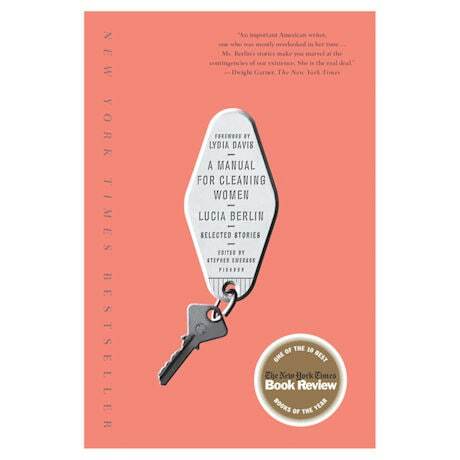 Yet A Manual for Cleaning Women is not a compendium of household tips, but rather a compilation of Lucia Berlin's magnificent short stories that will transport you to Alaska, Chile, New Mexico, California, and beyond - places where she lived and worked during her often hardscrabble existence. Through her lyrical prose you will meet hitchhikers, bullies, musicians, addicts, jockeys, wealthy socialites, and bad Christians. Berlin writes what she sees, what she knows, but her tales are not autobiographical. They are rich with life, every detail keenly observed and passionately related, filled with humor and pathos yet never maudlin. Indeed, Lucia Berlin should be a household word for anyone who loves a good story - and this book contains forty-three masterpieces of the genre!